Ahead 2019 Presidential Election: BoT Chairman Reveals PDP’ll. Present Best Presidential Candidate. 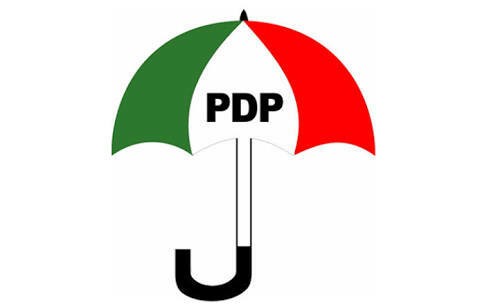 Chairman, Peoples Democratic Party (PDP) Board of Trustees (BoT), Sen. walid jibrin, on Tuesday, said that the party was working to present the best presidential candidate from the North in 2019. Jibrin stated this when he received members of “PDP Ward2Ward Group” who paid him a courtesy visit in Abuja. He said the party’s leadership in the North had already put in place machinery to ensure the emergence of the best presidential candidate from the area in 2019. “All of us as a party have agreed that the President of Nigeria should come from the North in 2019. He disclosed that the BoT had set up a committee to reconcile board members who were aggrieved by the outcome of the December 2017 National Convention. Jubrin said that the mandate of the committee was to resolve issues arising from the emergence of Prince Uche Secondus as PDP National Chairman. He added that the work of the committee, headed by former Senate President, Sen. David Mark, would be limited to BoT members only, while Gov. Seriake Dickson of Bayelsa led-reconciliation committee would reach out to other party members. The BoT chairman also called on Senate President Bukola Saraki, former Governor of Kano State, Sen. Rabiu Kwankwaso, and other former leaders of the party who left for other parties to return. Jibrin said the PDP had gone through trials leading to mass exodus of key members, including former governors among others. He, however, said that following the Supreme Court judgment on the party’s leadership tussle, stability had returned, while many members who left were beginning to return. One of the returnees, he said, was former Vice President Atiku Abubakar, “who brought good omen to PDP. “We are also expecting the return of some of our former governors, National Assembly members and very renowned party followers. The National Coordinator of the PDP Ward2Ward Group, Mrs Ada Okwori, said the group was working toward returning PDP to power in 2019. “As a result of that, we tasked ourselves to make sure that we mobilise for PDP throughout the country. Aisha Buhari Never Went To US – Ekiti PDP Reacts. Kindly Read Arguments.